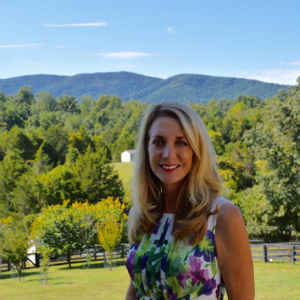 Friends of Augusta, a local pipeline opposition group, endorse Angela Lynn for House of Delegates for the 25th District, which represents part of Augusta County. Angela Lynn has been with us during this entire fight against the Atlantic Coast Pipeline. She stands strong with landowners fighting the abuse of eminent domain and knows it’s wrong that gas companies have this enormous privilege and access to your land. Angela believes that private property rights need to be strengthened and protected. Hard working Virginians deserve a government that works for them and this pipeline project will not enhance the lives of anyone in the 25th District. Angela wants to be our voice in Richmond advocating for the rights to our own land. The threat to our water and environment is another reason Angela Lynn has been a vocal opponent to the pipeline. She knows that here in Augusta County, we are the headwaters and supply millions of people with clean water. If elected, Angela would work to strengthen protections and oversight to ensure our water and overall environment is safe. Steve Landes currently represents the 25th District, serving his 11th term. He has yet to offer his support to stopping the Atlantic Coast Pipeline. Landes has repeatedly voted against landowners private property rights and voted in support of Dominion having more rights to your land than you do. Friends of Augusta encourages folks to come out Tuesday, March 7 at 5pm outside the Augusta County Courthouse (Johnson Street in Staunton) to hear her plans for the 25th District and asks for your support. She will be there to listen to your concerns about the proposed pipeline. Everyone is invited and welcome.